Musician Jim Moray reveals how the meeting of composer Percy Grainger and farm bailiff Joseph Taylor changed the course of traditional folk music. Musician Jim Moray bends sound and time to recreate the circumstances surrounding a chance encounter between the composer Percy Grainger and elderly farm bailiff Joseph Taylor which marked a major turning point in the history of traditional folk music. In 1906 the Grainger visited Brigg in Lincolnshire to record, for the very first time, the songs of traditional folk singers on a wax cylinder machine. Among his subjects was the 74-year-old Joseph Taylor who was later invited to attend the London premiere of Delius's An English Rhapsody which had been inspired by the old man's rendition of Brigg Fair. When he heard the familiar tune, Taylor was said to have removed his hat and sang along, encouraged by Delius and Grainger. 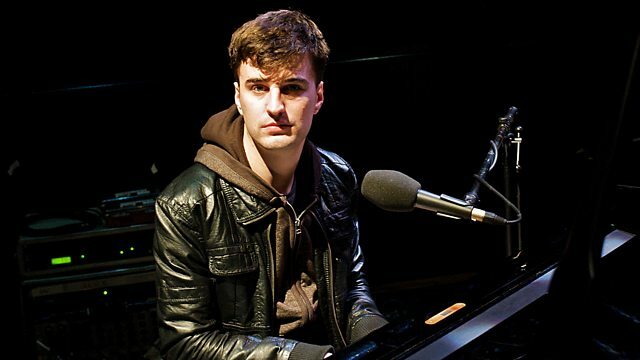 This programme follows Jim Moray as he experiments with technology to recreate that moment; bringing the voice of Joseph Taylor and the Delius orchestral work back together for the first time in over 100 years. Moray takes the original fragile and scratchy recording, restores the sound and then synthesises Taylor's voice in order to play it like an instrument in time with the orchestra. Moray's technical experiment runs in parallel with his exploration of the significance of Percy Grainger's encounter with Joseph Taylor, tracing the story back to Brigg in Lincolnshire and exploring the impact of those early field recordings on the history of recorded song in general and on folk music in particular. Applying the Copenhagen interpretation of quantum physics, he asks if folk music is fundamentally altered by the act of recording it.